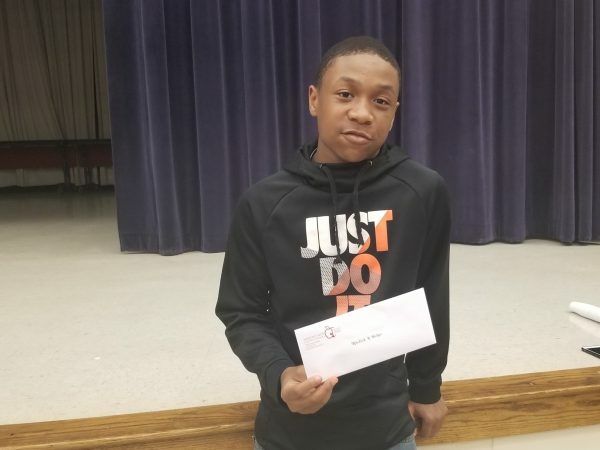 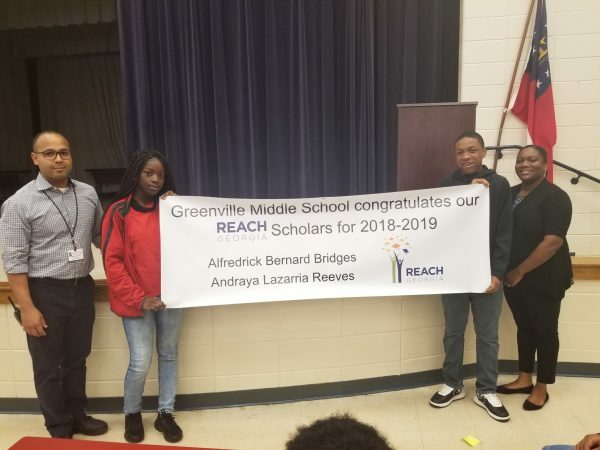 Every year, five 8th grade students in the district are selected to receive the Reach Scholarship. 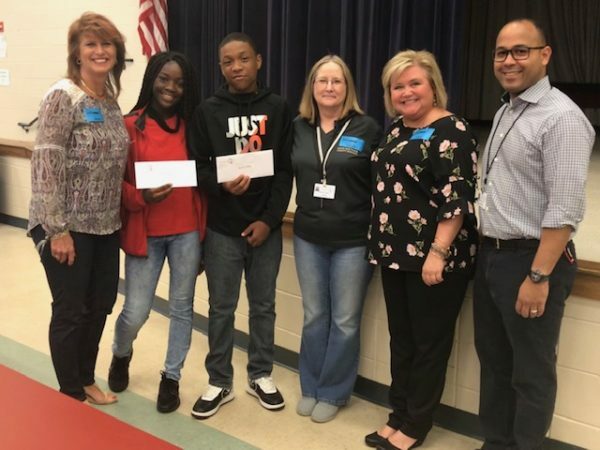 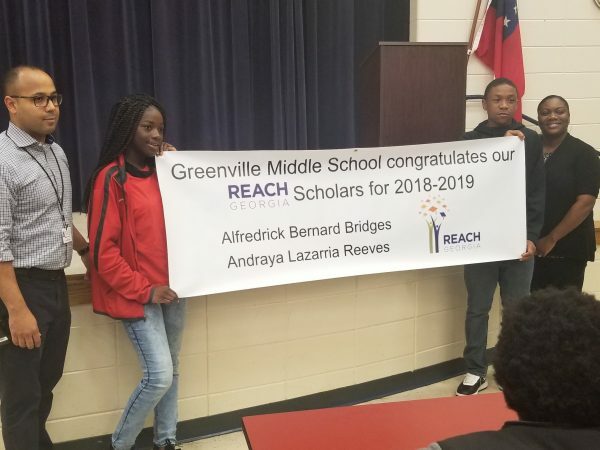 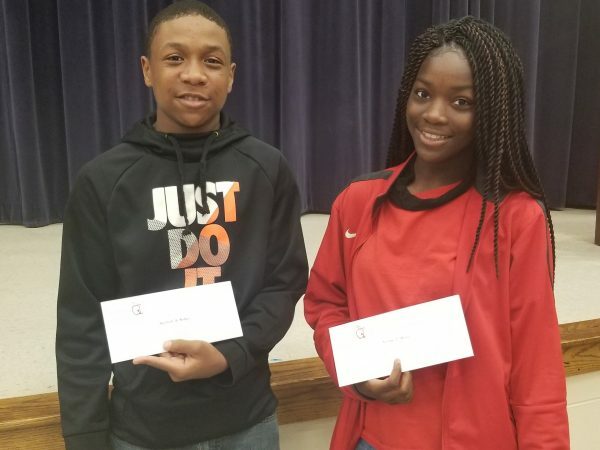 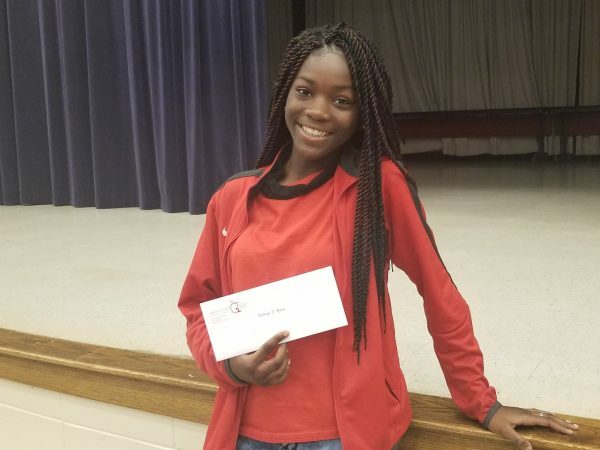 If these students maintain good grades and positive behavior through the rest of their middle school and high school careers, they will receive a scholarship in the amount of $10,000 to attend a Georgia university after they graduate high school. 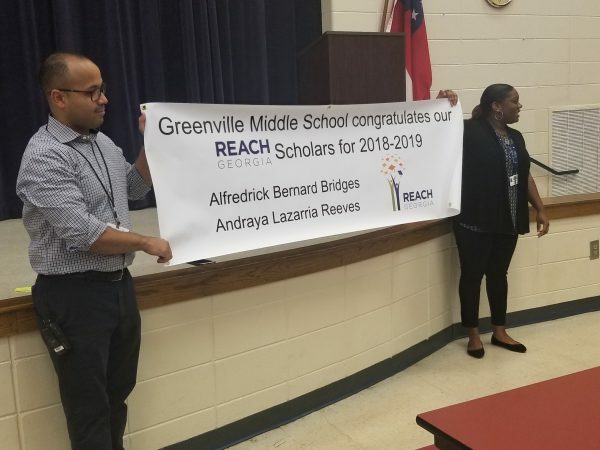 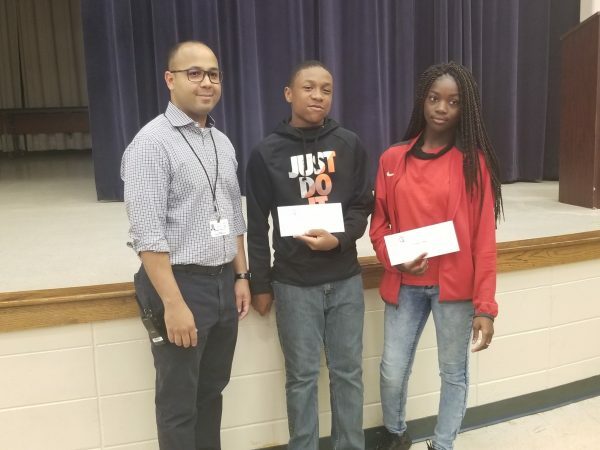 This year, two students from GMS received this prestigious scholarship: Mr. Alfredrick Bridges and Miss Andraya Reeves.